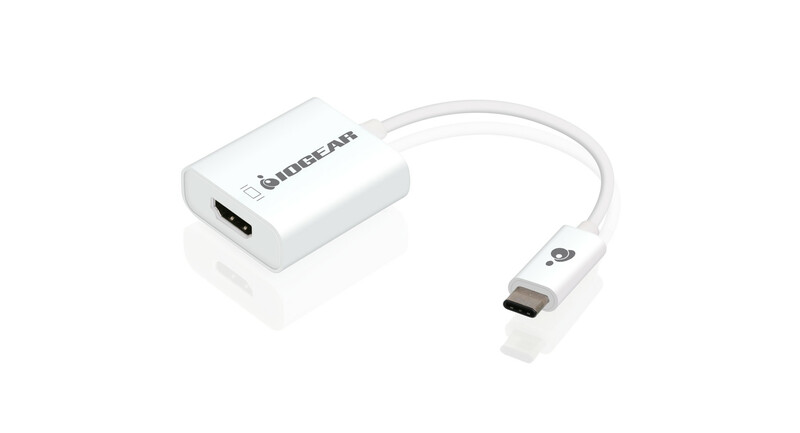 IOGEAR's new USB Type-C to HDMI adapter is the ideal hardware solution to convert a USB-C connection to a HDMI video output. 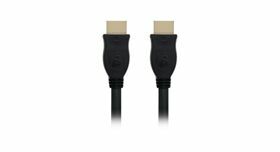 This gives you the ability to connect your USB-C based device like the Apple® MacBook®, Google® Chromebook Pixel™ and the Nokia™ N1 Tablet to any HDMI based display, projector or HDTV. USB-C is the latest advancement in the consumer electronics industry for device connectivity. Supporting a universal connectivity standard, USB-C unites all of your core functions into one powerful port. Thanks to its versatile design, compact footprint and unparalleled performance, USB-C connections are featured on next generation ultra-portable devices like the Apple® MacBook™, Google® Chromebook Pixel™ and Asus® ZenPad tablets. The GUC3CHD USB Type-C to HDMI adapter supports the HDMI 1.4a standard for UHD (Ultra HD) video playback, with resolutions of up to 3840x2160. The result is the highest level of visual fidelity currently available on the consumer market for HDMI, giving you the ability to display 4K content from your USB-C equipped device on the latest UHD televisions, projectors and displays. The GUC3CHD USB Type-C to HDMI adapter supports multi-channel audio signal pass through, preventing the need to carry an additional audio cable when connecting to an external HDMI display with audio playback support. 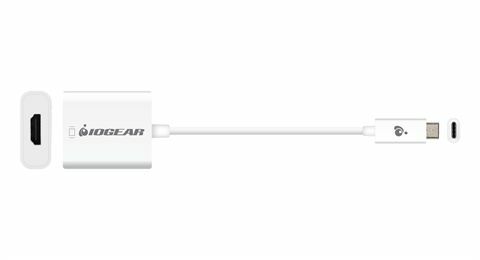 IOGEAR's USB Type-C to HDMI adapter lets you take advantage of the versatility of your USB-C port on your portable device. USB-C has a reversible connector by design and allows for hassle-free operation by allowing you to simply connect your adapter, meaning that no matter how you plug it in, your adapter will always work. 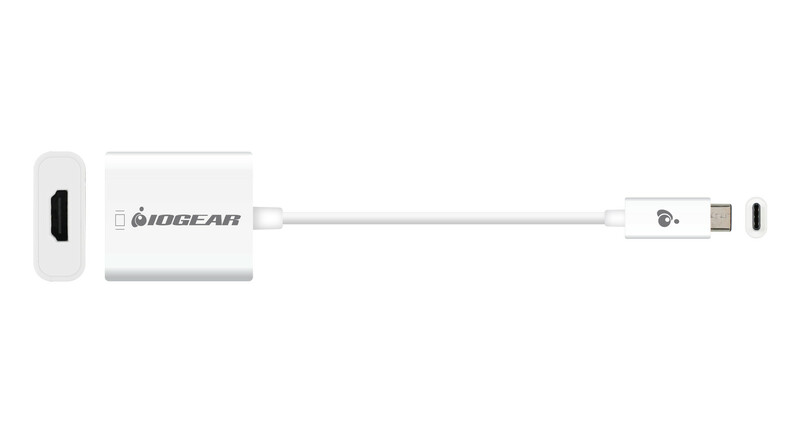 IOGEAR's USB Type-C to HDMI adapter is designed with simplicity in mind. 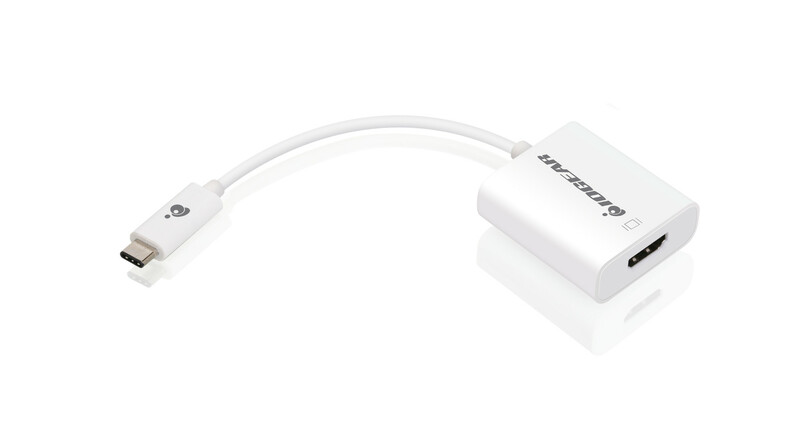 By taking advantage of USB-C's compatibility with numerous device standards, including its ability to deliver power to connected devices, our adapter supports Plug-N-Play operation, meaning that there are no cumbersome software/device drivers that need to be installed or external power supply to plug in to operate.